The 3-month-old puppy had a good day after surgery, but his health began to decline over the weekend, the SPCA said. 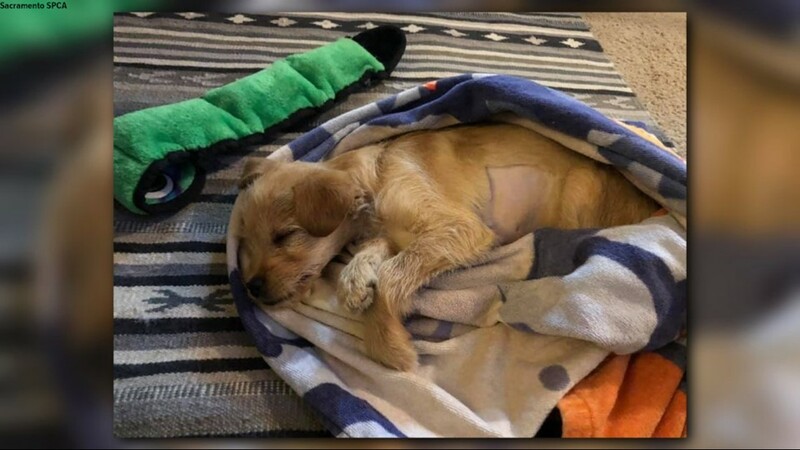 The Sacramento SPCA made a heartbreaking announcement Sunday, saying that a puppy that survived emergency surgery after ingesting nearly 50 short ribs later died. "There are times, despite everything we try, some stories do not have the happy ending we would like," the Sacramento SPCA said in their Facebook announcement Sunday. "Our little puppy who went through surgery to remove nearly 50 ribs from his stomach and intestines has passed away." The puppy had a good day after surgery, but his health began to decline over the weekend, the SPCA said. "Our veterinary team provided him with additional treatment, but unfortunately his little body could not quite catch up." 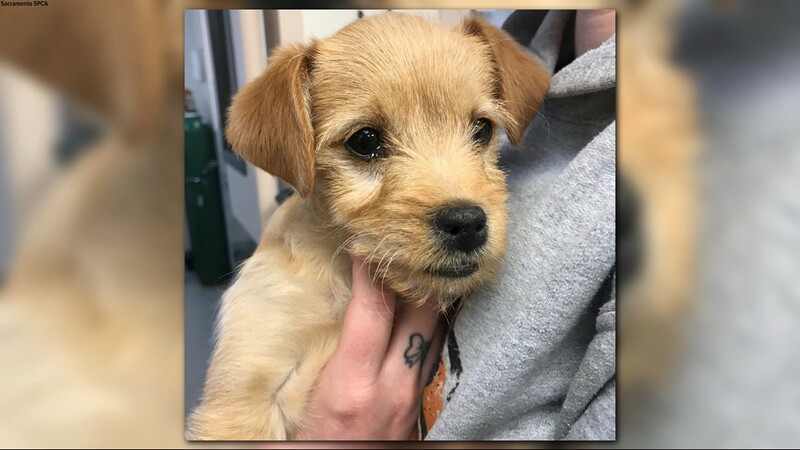 ABC10 would like to remind those who were interested in the puppy that there are dozens of other loving animals up for adoption at the Sacramento SPCA and other local shelters. "We have a LOT of interest but are not accepting applications yet as his recovery time is unknown," the shelter told ABC10 last Thursday. "There is only one of him though, so we hope everyone interested is willing to help another shelter pup in need if they miss out on this one!" Our hearts go out to those at the SPCA and the foster family who took such good care of the puppy and tried to give him a second chance. The Sacramento SPCA has a message for all pet owners: "Keep human food away from your furry friends." That message is prompted by a three-month-old puppy, who had to have emergency surgery after eating dozens of short ribs. 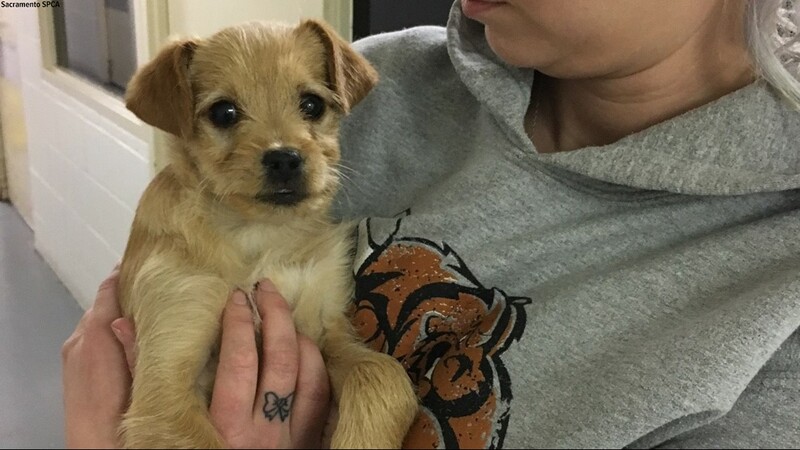 According to the Sacramento SPCA, the six-pound puppy's owner brought him to a private veterinary clinic this week, where the owner said the dog had eaten the ribs on Sunday and started acting sluggish. The owner didn't want to or couldn't pay for the surgery to remove the bones, so the owner surrendered the dog to the private clinic. A clinic employee then brought the dog to the Sacramento SPCA. Since the SPCA got the puppy from a third party, nobody there is sure exactly how the dog came to eat so many ribs - whether the dog was fed the short ribs on purpose or if the dog found his way into the garbage and ate them accidentally. 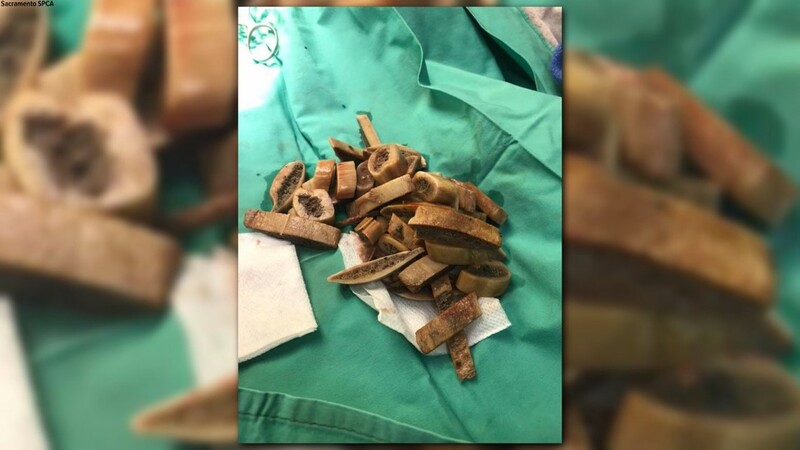 A three-month-old puppy had to have emergency surgery to remove nearly 50 spare ribs from his stomach, intestines. It is unclear if the dog was fed the short ribs on purpose or if the dog found his way into the garbage and ate them accidentally. 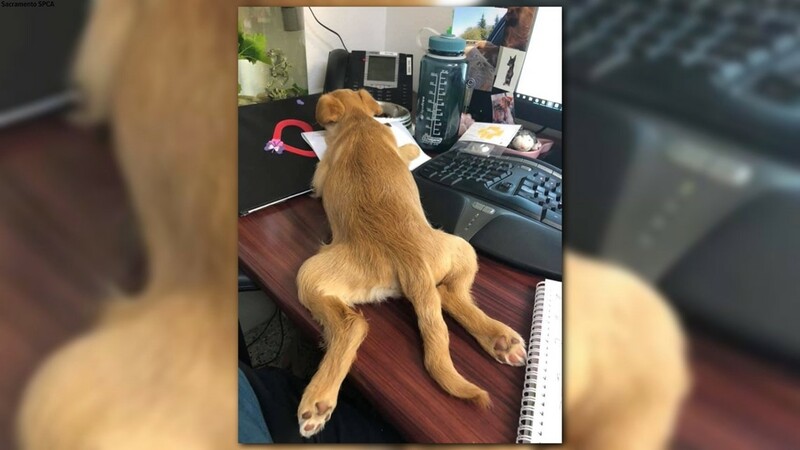 Before the surgery the puppy laid on a nearby desk. 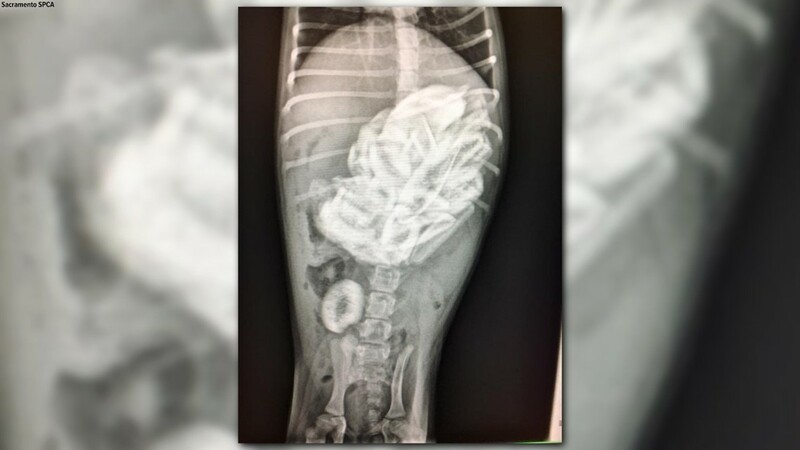 According to the Sacramento SPCA, the six-pound puppy was brought to a veterinary clinic where the owner said the dog had eaten the ribs on Sunday and started acting strangely. According to the Sacramento SPCA, the surgery usually costs approximately $2,000 at a regular clinic. The Sacramento SPCA says the puppy is resting and recovering at a foster home. Once at the SPCA, the puppy underwent surgery at the hands of Dr. Laurie Siperstein-Cook. "We kind of had a pool to-- you know, how many (rib bones) would we find?" Siperstein-Cook told ABC10. "The highest guess was 22, and it turned out to be 46. And we're going, 'How does a little six-pound puppy eat 46 of these?'" That was on Wednesday. The puppy is now recovering from surgery at a foster home and starting to eat a small amount of puppy-approved food. "Every day it's like, 'Has he eaten yet? How's he doing? Has he lifted his head? Is he walking around?'" Siperstein-Cook said. "Just this morning, for the first time he ate some on his own, so that's like, 'Woohoo! '...That’s when we said, ‘Okay, he’s turned a corner, we’re probably home free. Not 100 percent out of the woods, but that's a huge sign in a dog." Since he's cute, there's been quite a lot of adoption interest in the puppy. The Sacramento SPCA said he's not up for adoption just yet. Doctors want to monitor his recovery before an adoption is considered. "We have a LOT of interest but not accepting applications yet as his recovery time is unknown," the shelter told ABC10. "There is only one of him though, so we hope everyone interested is willing to help another shelter pup in need if they miss out on this one!" According to the Sacramento SPCA, the surgery usually costs approximately $2,000 at a regular clinic, so the shelter is asking for donations to help cover the surgery. You can donate by clicking "donate" on the post below. Donations will help dogs, cats and other animals brought into the Sacramento SPCA to become and stay healthy and happy and find a forever home.